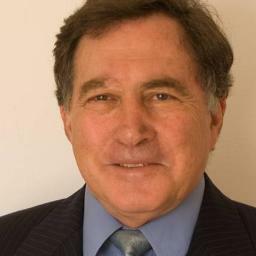 Home Columns Into the Fray / Dr. Martin Sherman INTO THE FRAY: Benny Morris – Unlikely Proponent of Incentivized Arab Emigration? INTO THE FRAY: Benny Morris – Unlikely Proponent of Incentivized Arab Emigration? As readers will recall, I have, for years, been urging the initiation of a largescale initiative for the incentivized emigration of the Arab population in Judea-Samaria and Gaza, as the only viable policy option that can facilitate (albeit not ensure) the continued survival of Israel as the nation-state of the Jewish people—as it is, demonstrably, the only policy option that allows Israel to adequately contend with the geographic and demographic imperatives required for such survival. Thus, although Morris clings—somewhat puzzlingly and paradoxically—to “the idea of two states for two peoples and territorial partition [as] the only basis for a solution that would provide a measure of justice to the two peoples”, he has no illusions as to its feasibility. He explains the reasons for his pessimism: “… I have always had my doubts over the degree of realism of a partition of the British Mandate-ruled Land of Israel in such a way that the Jews get 78 to 80 percent of the territory while the Arabs make do with 20 to 22 percent”, adding soberly, “Even if there would be Palestinians who would sign such an agreement, the Palestinian people, led by Hamas and Fatah, would roundly reject such an agreement, and it would not be long for this world”. His dour conclusion is: “A peace agreement based on partition doesn’t appear realistic”. But if Morris is pessimistic as to the feasibility of a peaceable two-state outcome, he is far more categorically so as to the prospects of a one-state endeavor. I have little argument with Morris as to the futility of the endeavor to reach a peaceable two-states-for-two-peoples outcome; or as to the imbecility of trying to attain a stable Jewish majority in a one-state outcome. However, this does not mean that his bleak prognosis is a preordained consequence of this. After all, there is a policy paradigm that addresses both geographic perils of the two-state and the demographic perils of the one-state.a. This of course, is what I have dubbed the “Humanitarian Paradigm”, entailing extending Israeli sovereignty over all the territory from the Jordan River to the Mediterranean Sea, and incentivizing largescale Arab emigration from the territories across the pre-1967 lines by an appropriate array of material inducements. For anyone dedicated to the preservation of the Zionist endeavor and who wishes to avoid Morris’s bleak prognosis, this is unambiguously Hobson’s Choice.